This musical instrument is a "four keyed" wooden flute. 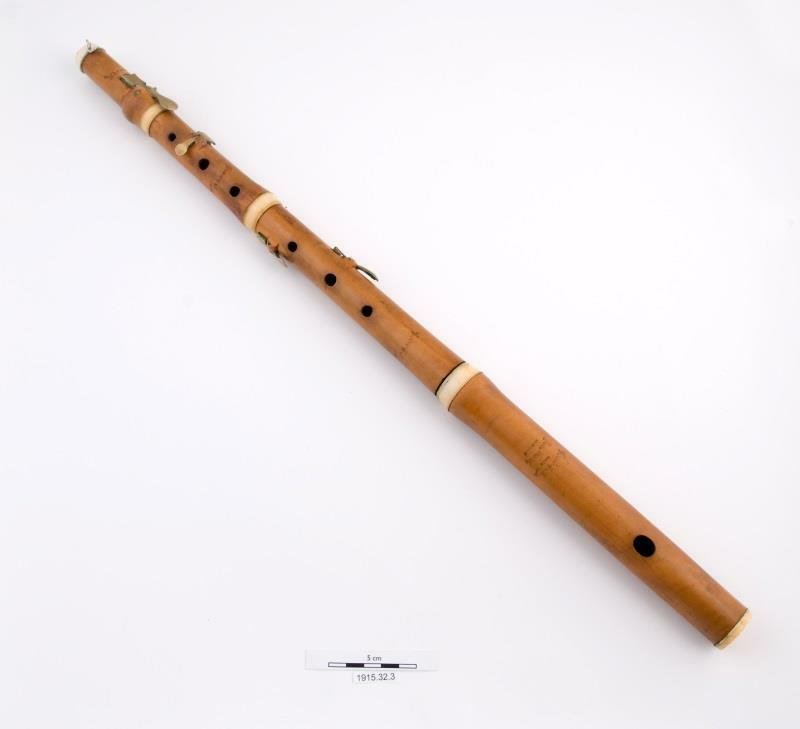 It consists in four joints made of boxwood, connected by three ivory rings, and four silver squared keys, which give the flute its appellation. The six finger holes are split between the two centre joints. The flute is marked: Wood & Ivy Late Geo.Wood, London.